Natural Saphire with certificate - De website van dktresor! 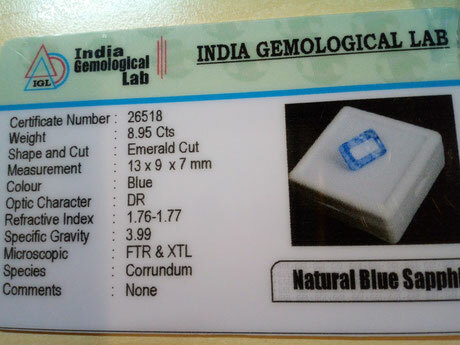 Sapphire is a gemstone, a variety of the mineral corundum, an aluminium oxide (α-Al2O3). It is typically blue in color, but natural "fancy" sapphires also occur in yellow, purple, orange, and green colors. 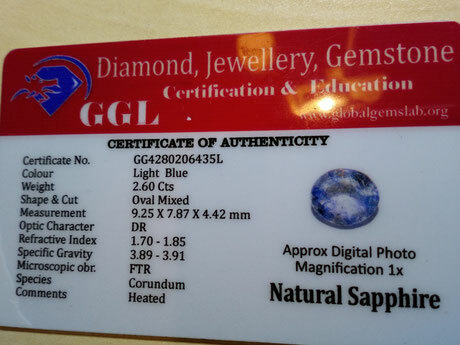 Sapphire is one of the two gem-varieties of corundum, the other being ruby (defined as corundum in a shade of red). Although blue is the best-known sapphire color, they occur in other colors, including yellow, gray and black, and they can be colorless. A pinkish orange variety of sapphire is called padparadscha. 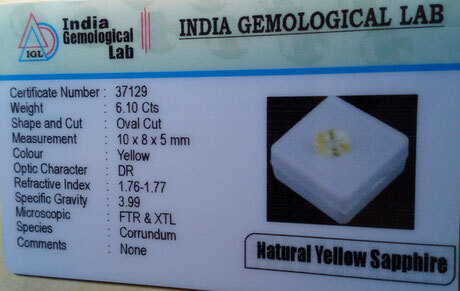 A fine Gem this 6,10 Crts Yellow Color Natural Sapphire. Beautiful VVS Clarity - 8,95 Crt - fine Emerald Cut natural Bleu Color Sapphire. Beautiful VVS Clarity - 2,60 Crt - fine oval Cut natural bleu Color Sapphire.